Here’s another card that I’ll be sending out this week. 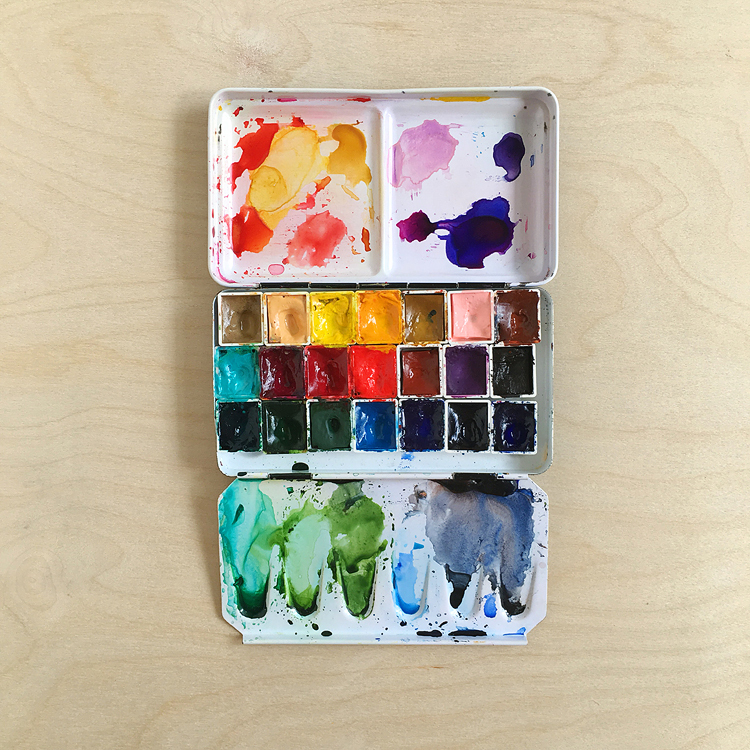 Not saying who it’s for because she’s a master at watercolor and I’m just getting my feet wet (get it, feet wet? watercolor? ha ha! okay bad pun). Anyhow, here goes! Sure hope she likes it. Make-It + Mail-It Challenge #1: Tag, you’re it! i think she’ll LOVE IT, lisa — perks me up just looking at it. 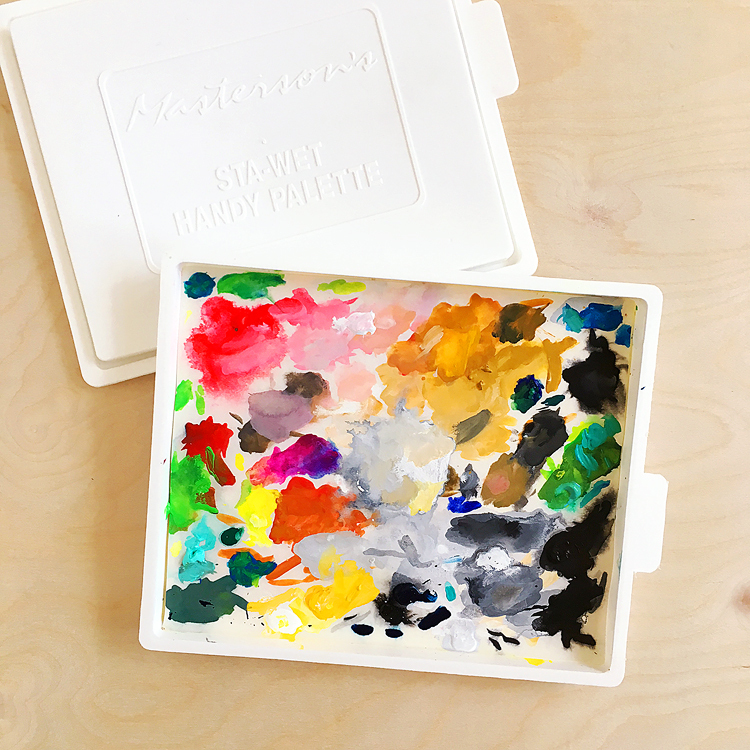 :) thanks for reminding me about those brushes (totally forgot about those)! 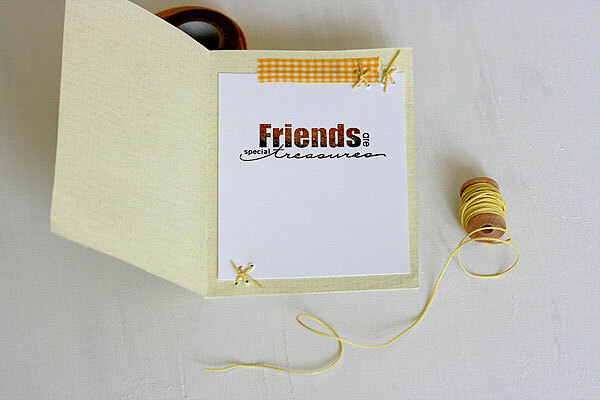 The recipient is surely going to treasure it! So cute! She’ll love your card Lisa! Love the stitches inside. Hi Lisa! 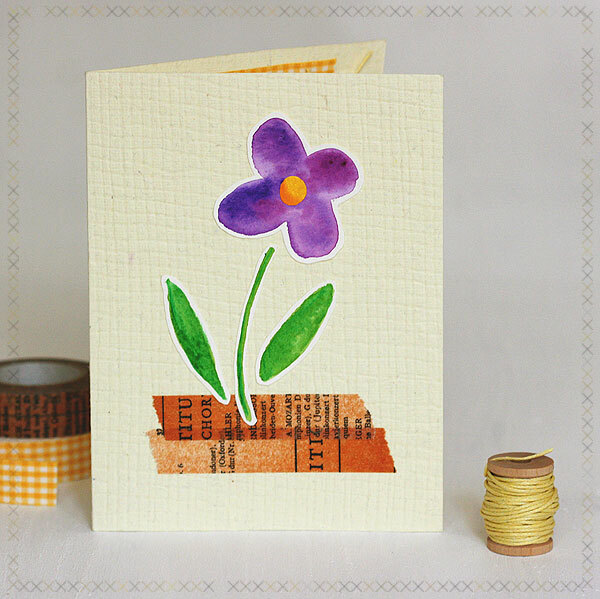 :) Love your pretty, purple, posy and the great texture of the card base! Have a great day! Hugs! Ah….so very pretty! She will adore this….I’ve tried some of my own watercolored cards and have not liked the results, so I just need to keep practicing, but I love the subtle look it gives! Yep, that sweetie in the desert will love it because it’s perfect! I always appreciate a good pun (I’m married to an incurable punster). Lisa, your card is so beautiful! 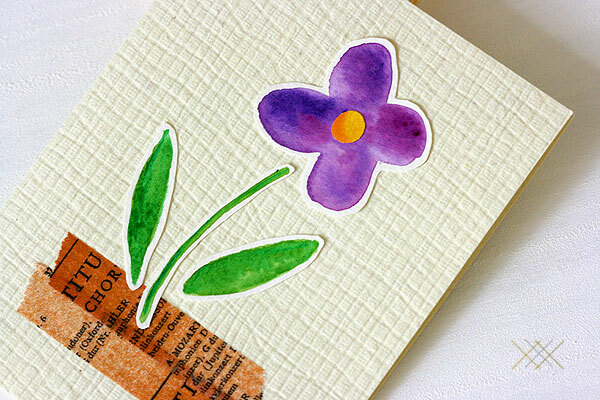 I love your watercoloured flower and use of washi tape! The stitching on the inside is gorgeous too! Lol I’ll be collecting wooden spools next! After using the cord they’d be great for storing thin ribbon or wire.